How long does each treatment take? The typical treatment is 15 – 20 minutes, depending on the size of the area being treated. A Class IV Therapeutic Laser has a greater power output. This delivers more therapeutic energy to the target tissues than ‘cold’ lasers. 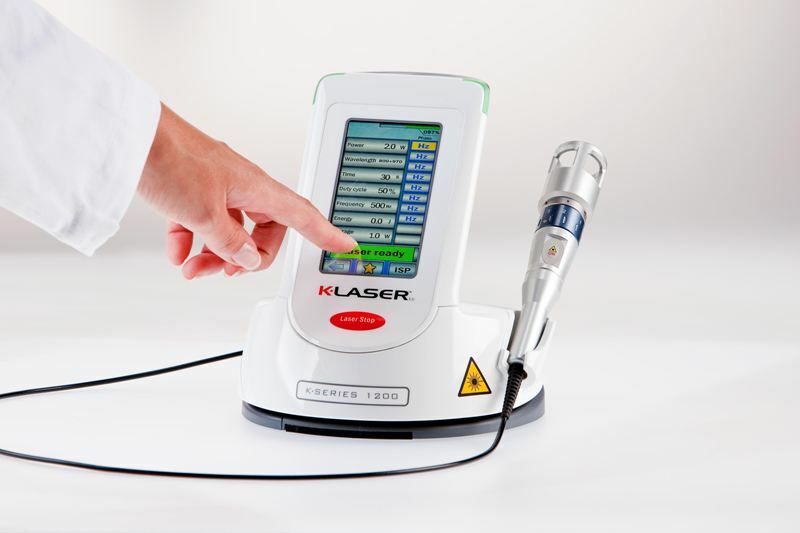 The K-Laser uses 800 and 970 nanometer laser wavelengths. These penetrate deeper. The chromophores can absorb laser wavelengths from 500 to 1100 nanometers; there is no ‘magical’ therapeutic laser wavelength. A: Low laser therapy devices are class III lasers or “cold” lasers. Their power ranges are in the range of 5 milliwatts to 500 milliwatts. 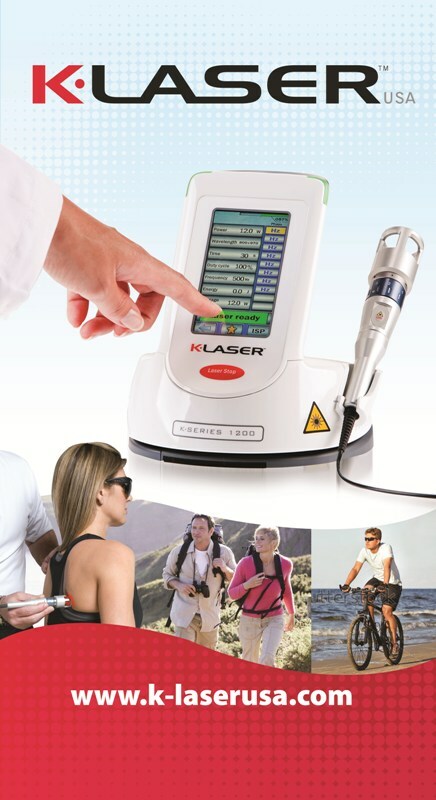 The K-laser is a high-powered therapy device ranging upto 6000 milliwatts; however, the K-laser is power adjustable from 100 milliwatts to 12,000 milliwatts allowing for a wide range of treatment protocols. This power and penetration of the K-Laser system is not attainable with cold laser devices. Q: What does laser therapy do, anyway?